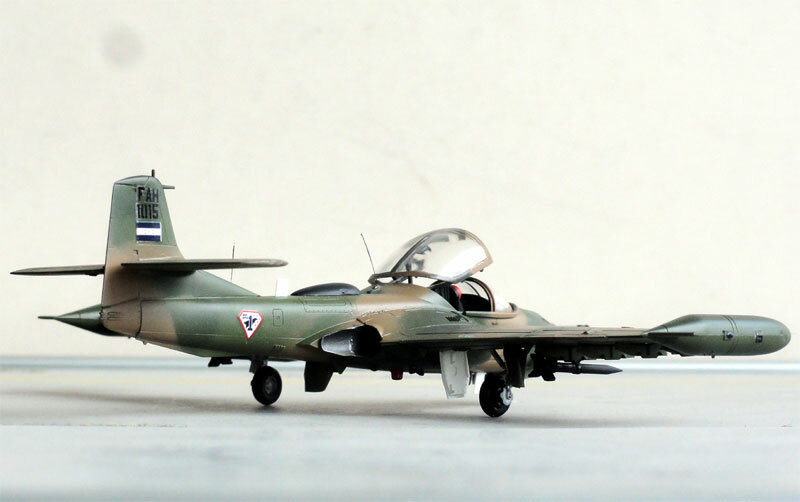 The Fuerza Aérea Guatemalteca (FAG), the air force of this Central American country got approx 24 A-37 aircraft. Gear bays and inside of gear doors are white. Decals came from the AZTEC decal set 72-017. 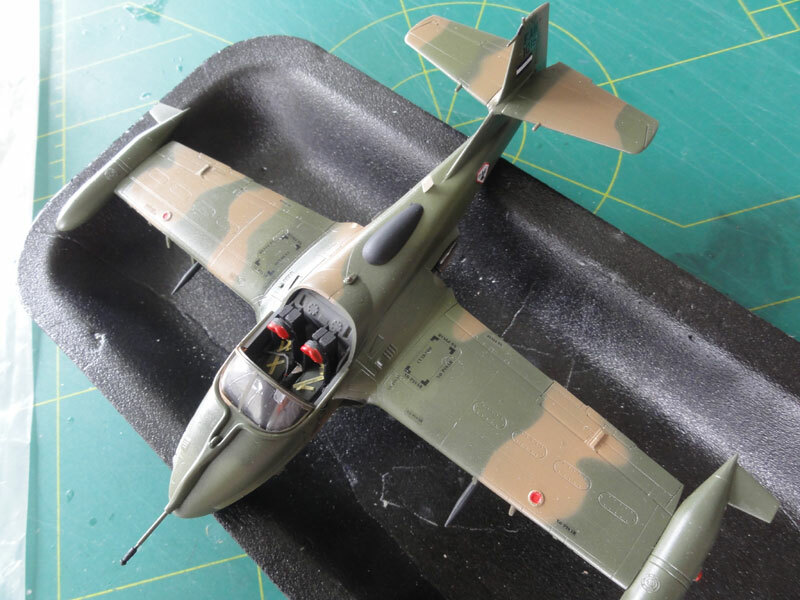 The model depicts a A-37B with the ser.no 69-6401 as flown by Tte. 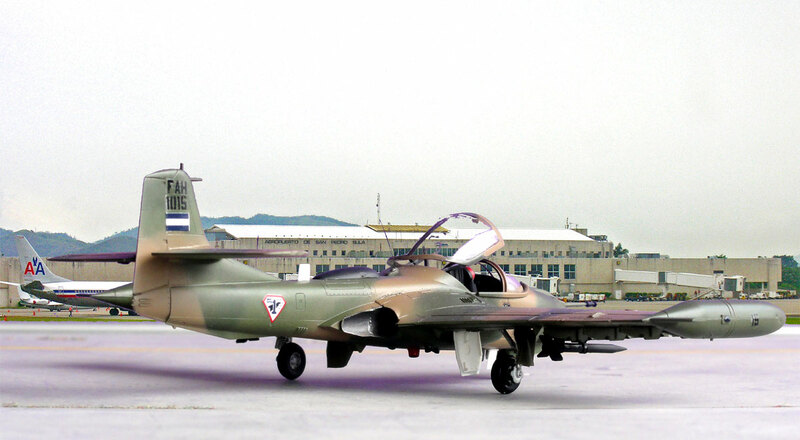 Castaneda around 1991 of Escuadrón de Aviones de Ataque based at Guatamala city. 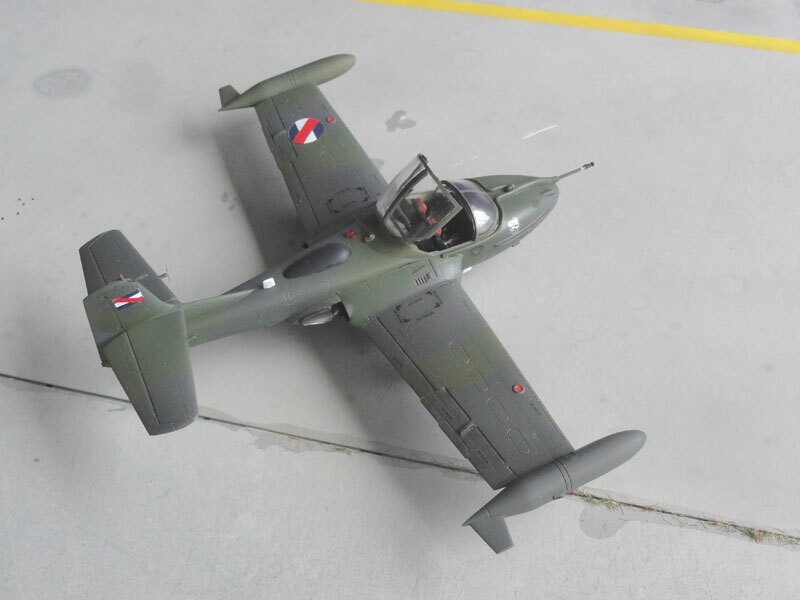 The fuselage badge is a special one used for the A-37 and a toned down national insignia on the wing. 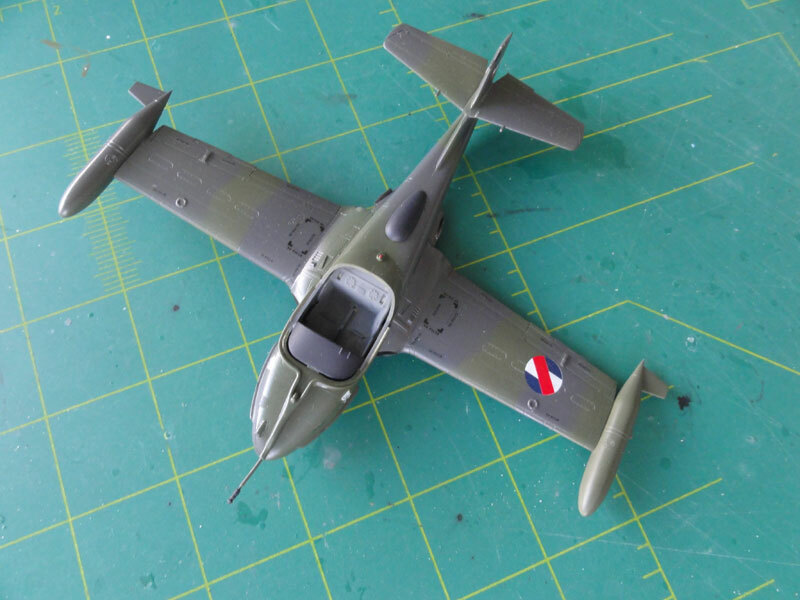 Ensure the model is gloss to prevent "silvering"e.g. air bubbles trapped below the decals. I used a Johnson Future/Pledge gloss acrylic. Some antennas were added made from painted fishing line. 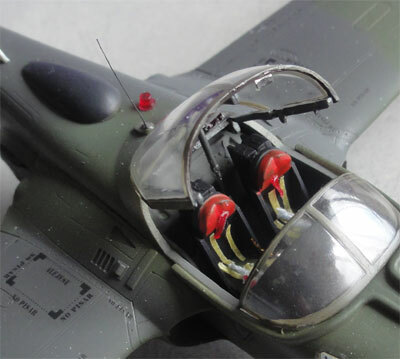 No tank boom was fitted and the canopy set closed. Fuel filler caps were painted red. 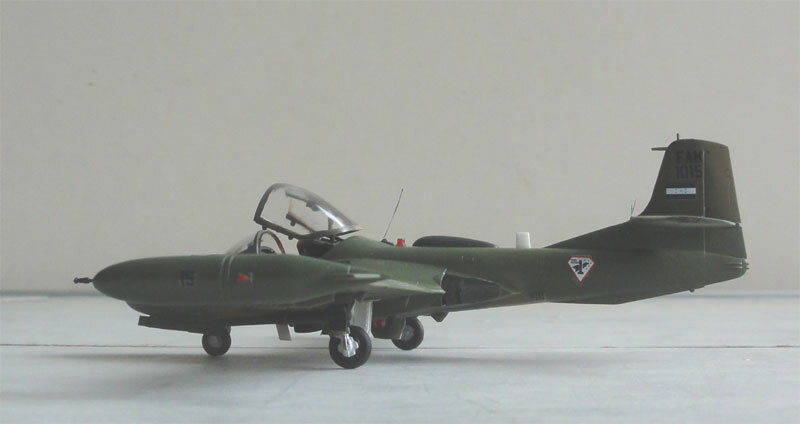 The result is a nice A-37B of this small air force. 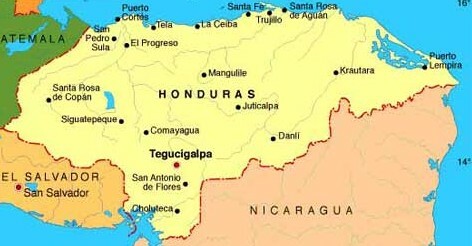 Current air bases are at Guatamala city, Retalhuleu and Flores. Military Aviation started in Guatamala already in 1912 with biplanes of Bleriot and Nieuport. The built-up was with French aviators and flying schools established. 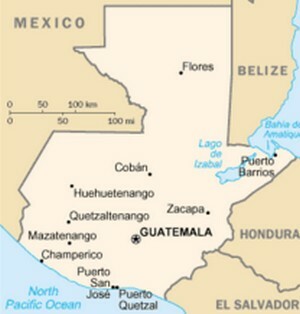 The Fuerza Aerea Guatemalteca was formally set in place in 1945 with many American aircraft used like the F-51, C-47 Dakota and later on T-33 trainers. The aircraft were low cost and some Fokker F27 and IAI Arava's also operated. 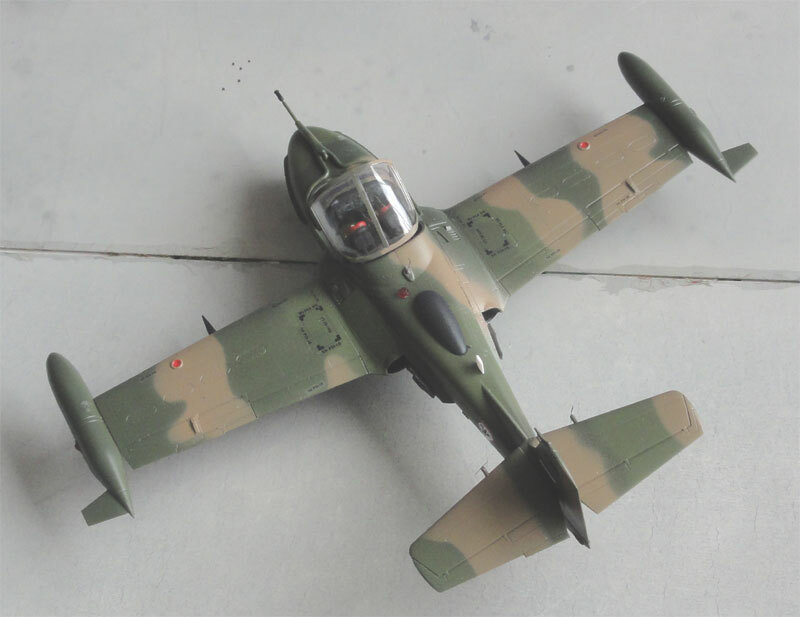 Of the A-37 some 24 were received in the 1980s and the type is the most capable aircraft type. 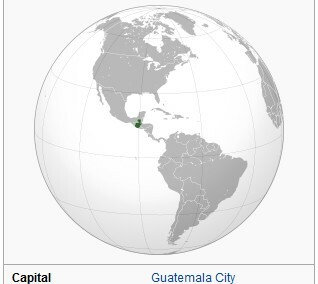 Current air bases are at Guatamala city, Retalhuleu and Flores. 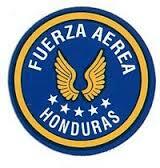 Some 6 A-37B aircraft were delivered in 1975 to this Central American country Air Force, the Fuerza Aerea Honduras (FAH). In the 1970s, another 11 aircraft followed. 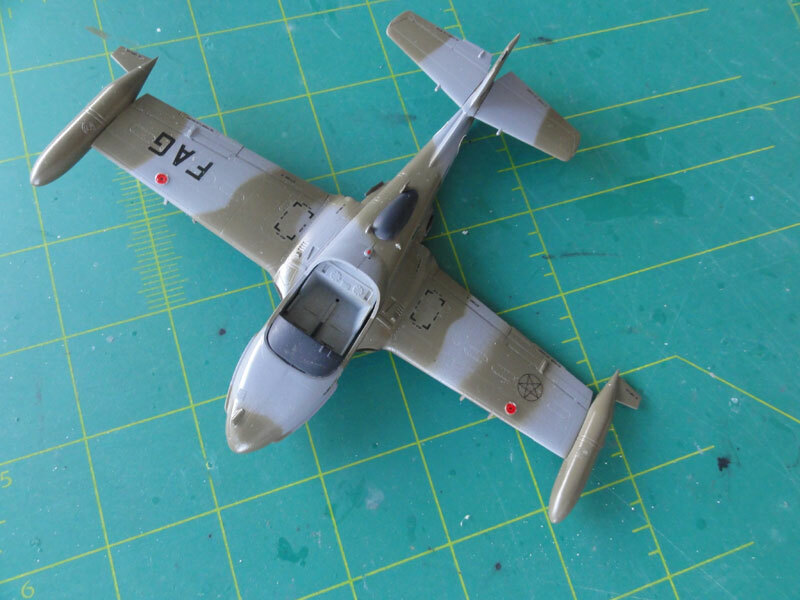 The Academy model was first assembled rather straight out of the box. 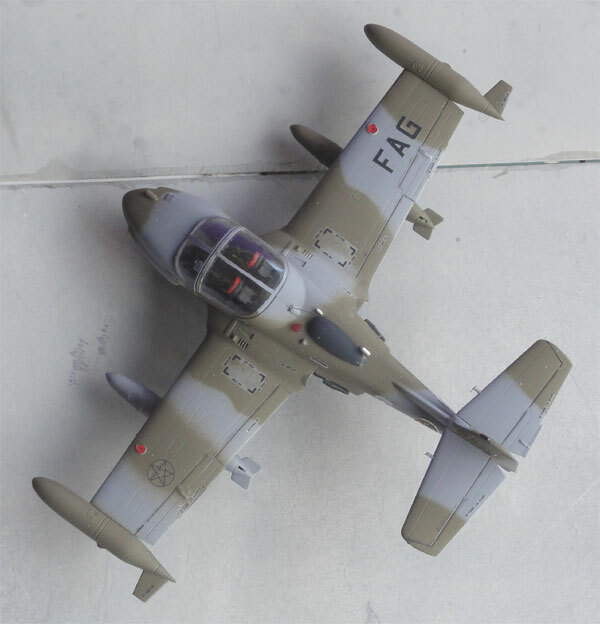 This model has the Honduras flag but no roundels. 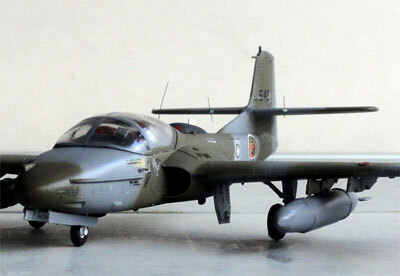 On the rear fuselage is a peculiar badge of 1 Grupo Tactico based at San Pedro Sula. No other insignia are carried probably. The canopy was set open, got some mirrors and the tank boom was fitted. The Fuerza Aerea Hondurena started in 1921 with a Bristol F.2b and other biplanes followed with a flying school founded in 1931. 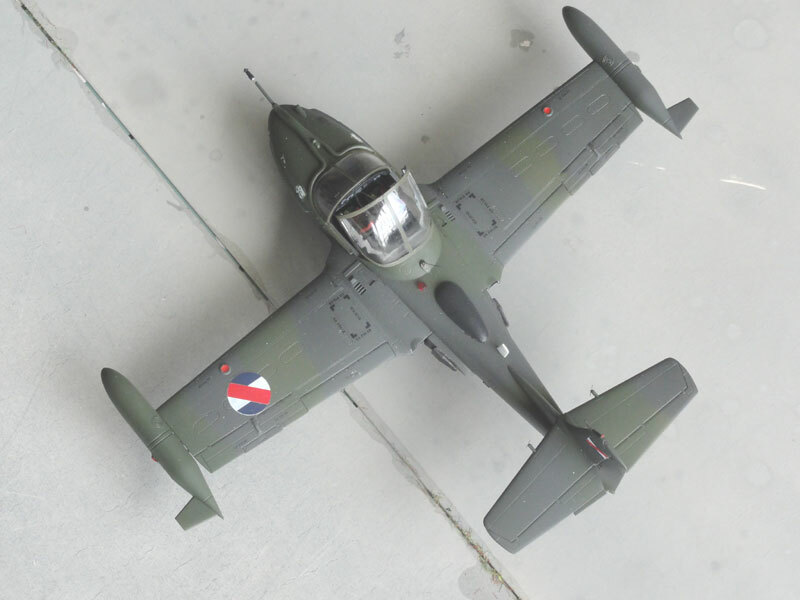 After the Second World War many surplus US aircraft followed like the P-38 and P-63 King Cobra and in 1960s F4U Corsairs. In 1969 a war arised over a soccer match with El Salvador, the "soccer war". 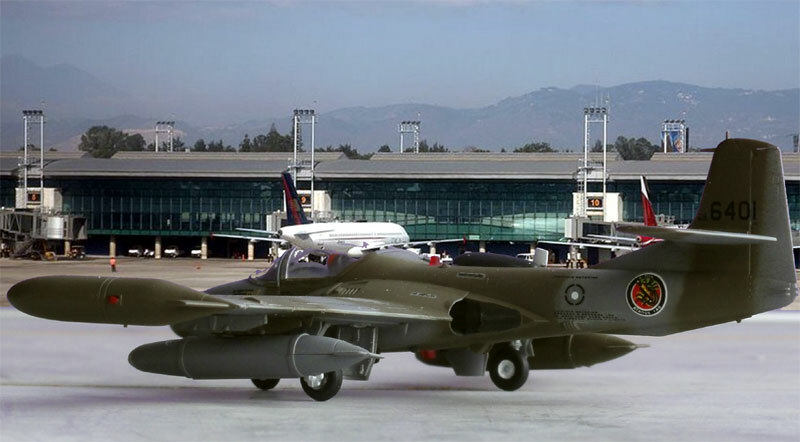 In 1970 F-86K dogs were obtained from Venezuela and some 10 Canadair F-86 CL-13 Sabres. 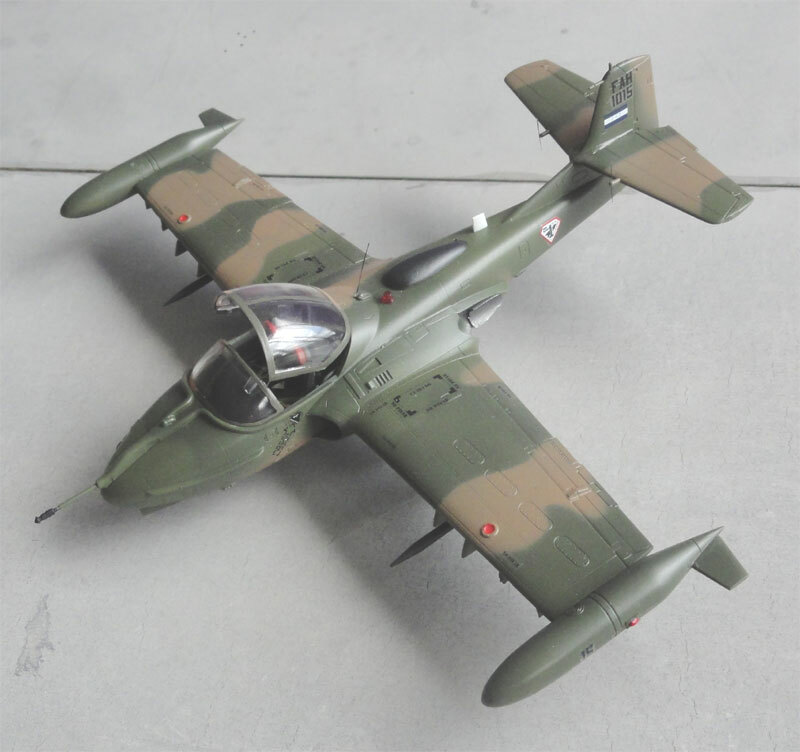 In 1975 the first A-37B Dragonflies arrived, followed by another 11 aircraft. 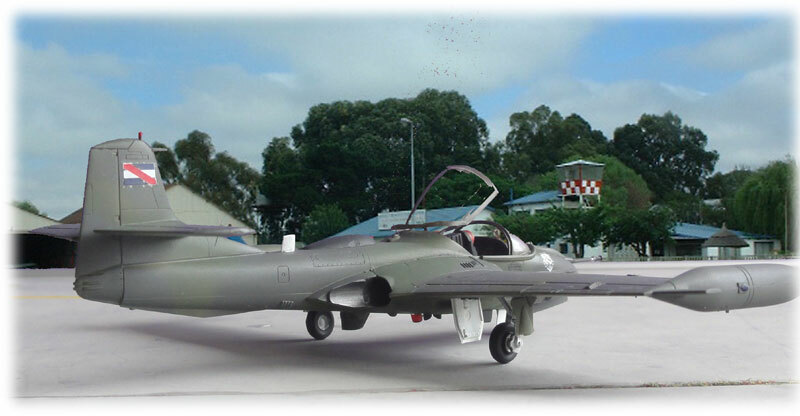 From Israel converted Super Mysteres Sa'ar jets were acquired from 1975 that were locally called the Sambad. 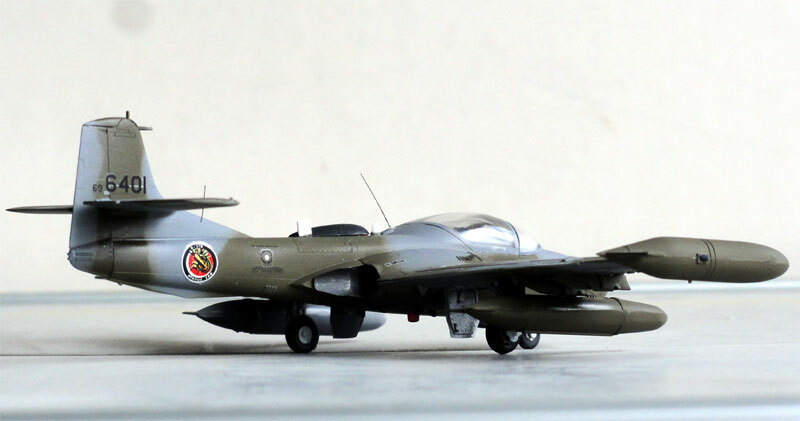 The Honduras Air Force was further strengthened during the 1980's with F-5E Tigers to counter the threats coming from the Civil Wars being fought in El Salvador and Nicaragua until the end of hostilities in the 1990's. 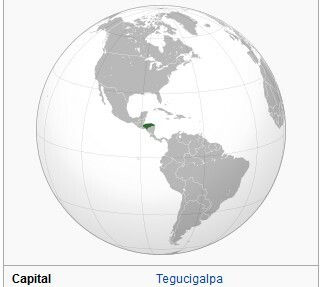 Air bases were at Tegucigalpa, Comayagua, San Pedro Sula, and La Ceiba and stations at Cantacamas, Alto Aguan (bombing range), and Puerto Lempira. There was a radar station at La Mole peak. The Air Force is not organized with squadrons but rather per Air Base. Some OA-37 Dragonflies are still in service. 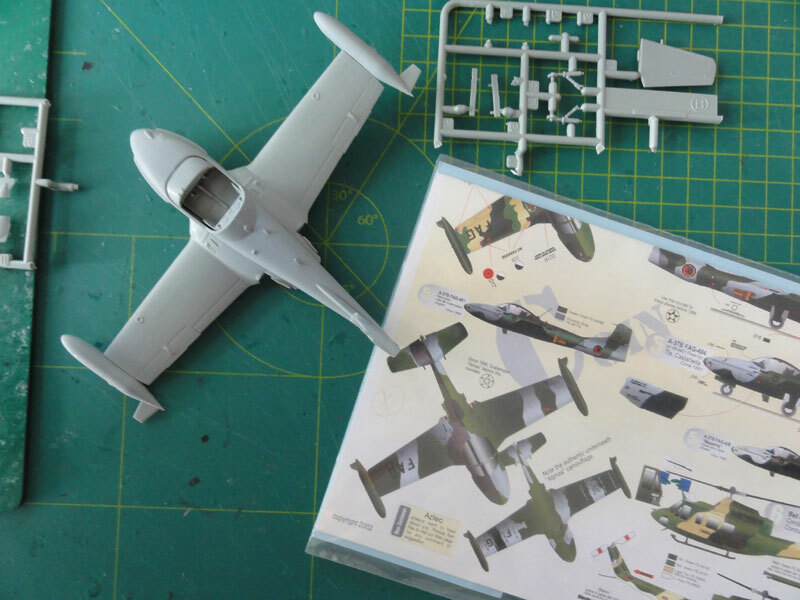 The Academy model was first assembled rather straight out of the box. 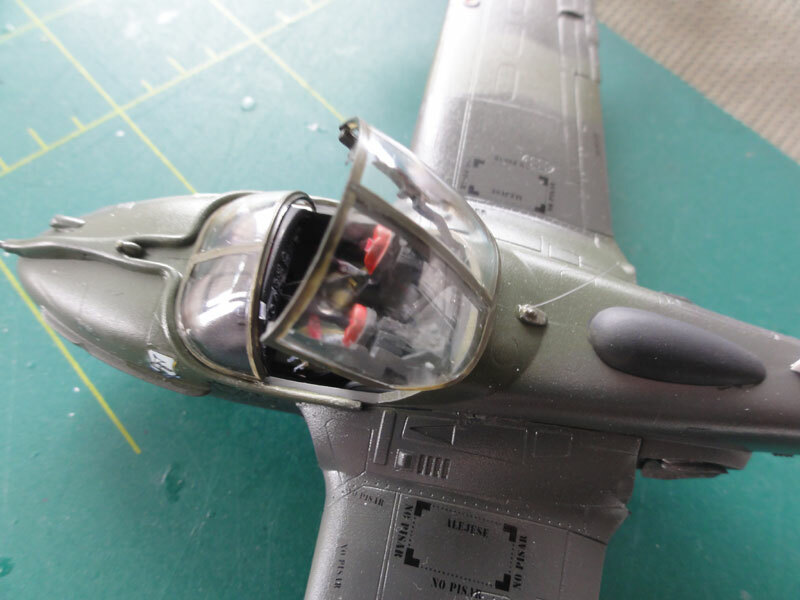 The canopy was set open and got a few mirrors details inside. 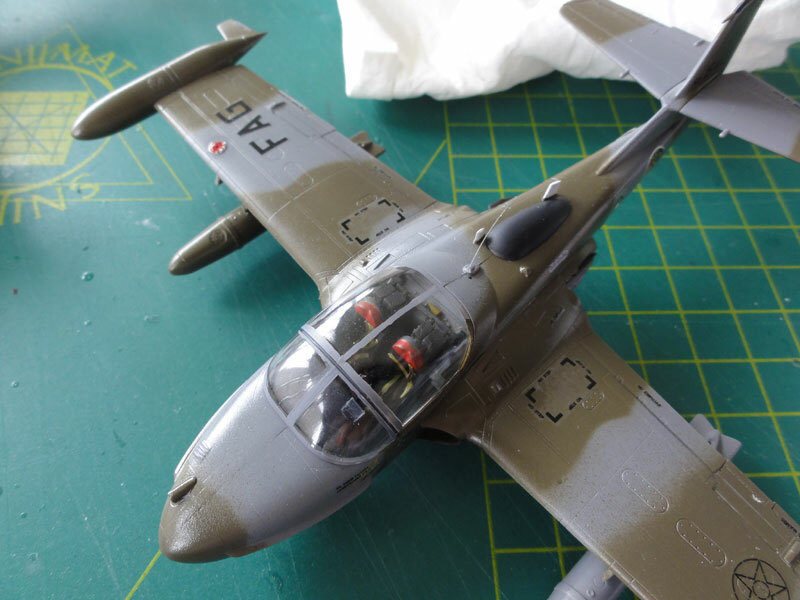 Decals from Albatross Model Works from Mexico set 72007 were used. Here with windshield and tilted canopy. Note the Spanish language stencils. Military aviation started in Uruguay in 1913 with Farman biplanes. 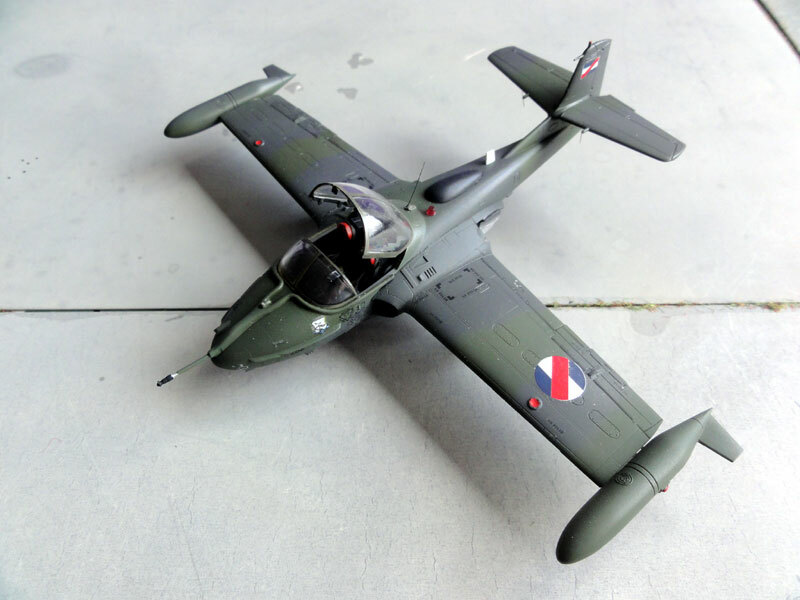 Many other types followed like Avro's, Nieuports, Breguets and in the 1950s types like the B-25 Mitchell and AT-6. 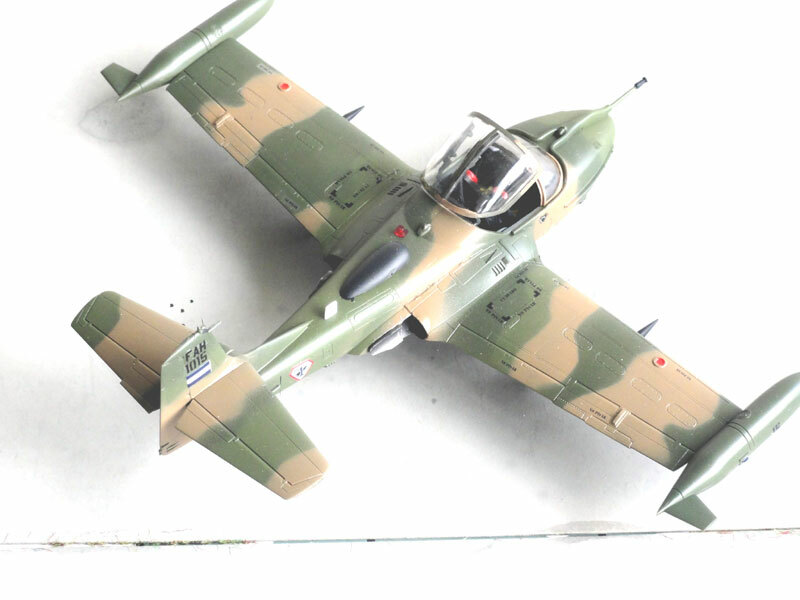 The Fuerza Aérea Uruguaya (FAU) became a separate force in 1952. T-33 were delivered as well as F-80 Shooting Stars. Also Chipmunk trainers were used. 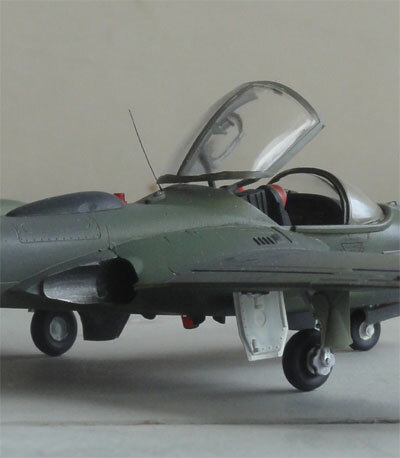 Around 1976 some 8 A-37B aircraft were obtained and 8 OA-37B end eighties. 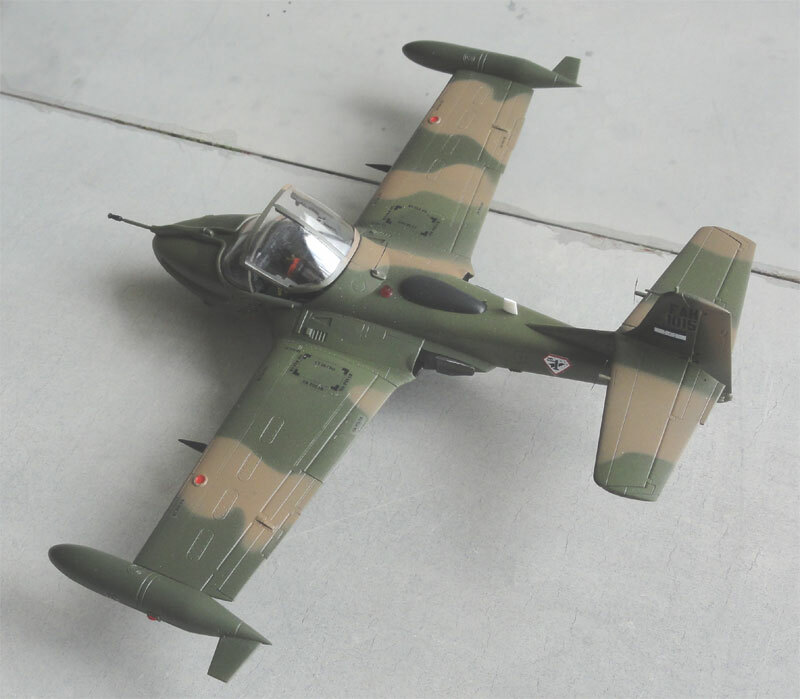 Other types were/are Pucara's, C212, T-34 and C-130. 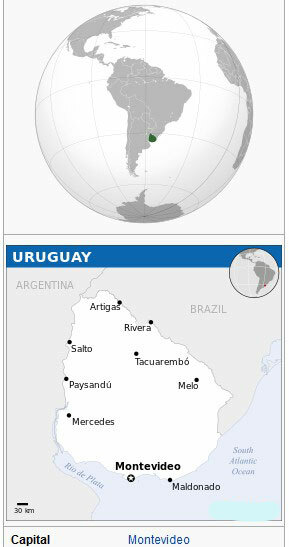 Current bases are four near the capital Montevideo and one at Durazno. 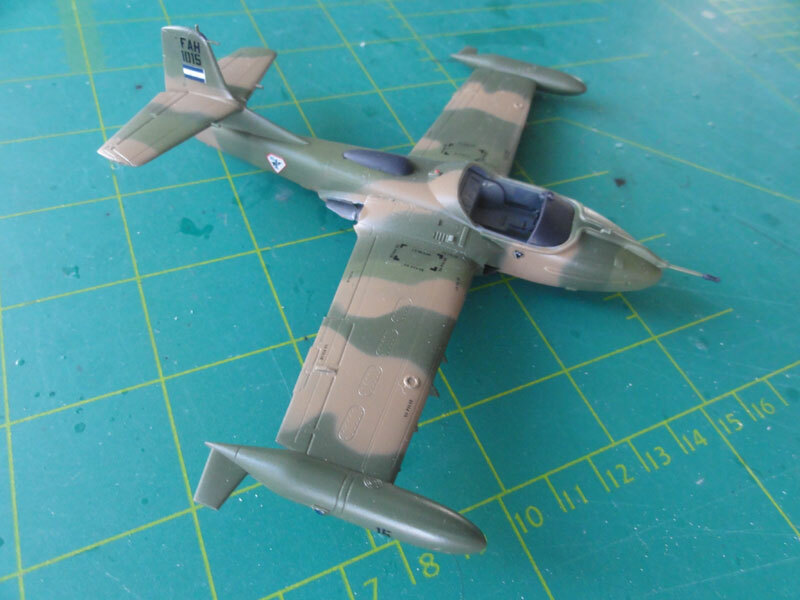 As of 2014 Escuadrón Aéreo N°2 Caza flies the A-37.